Lure Fine Real Estate has proudly served the Diablo Valley since 2004. 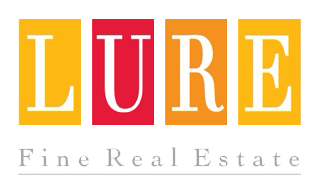 Lure’s focus and dedication to excellence and customer service has kept Lure Fine Real Estate at the forefront of Diablo Valley real estate. In 2017, founder Sally Thornber created “Sally’s Angels”, a program which supports local charities and non-profits in the community. Lure Fine Real Estate offers the highest level of service, expertise and integrity to its client’s for a Higher Purpose. Lure Fine Real Estate understands the small to mid-size builder and can assist in providing industry leading marketing and sales support. Lure Fine Real Estate offers a team of seasoned marketing, sales and operational consultants to deliver exceptional home buying experiences that maximize customer satisfaction and a high return on investment for the developer. Get automatic alerts based on detailed search criteria made available only through real estate agents. Sally’s Angels was created to purposefully give back Lure Fine Real Estate agent’s time, talents and treasures in support of charities and those in need in our local community. Lure Fine Real Estate donates 10% of its gross commission income back to non-profits and charities through local grants and partnerships. Our goal is to give back to the communities that have supported us, to raise awareness and hopefully bring additional funds for these great and important causes. Sally Thornber's real estate career spans 25+ years as a leading real estate agent and broker in the East Bay. In addition to being the founder of LURE Fine Real Estate, Sally has conducted over $450 million dollars of real property transactions. In addition to her residential resale clients, Sally has spent considerable time handling marketing and sales with high-end real estate developers and brings to the table a keen knowledge of quality construction and what clients are looking for in distinctive properties. Her extensive construction experience gives her clients a total advantage in the market. She provides a unique blend of business savvy and real estate expertise to her clientele.